This year we got our Christmas Tree at the Casazza Christmas Tree Farm here in Etiwanda. I know visiting this farm is a family tradition for many. We had a great time walking from one side of the farm all the way to the other side looking for the perfect tree. And Yes we found it! All the workers were very friendly and helpful; they cut it for you, shake all the leaves and old pine needles out and help you load it up. You can also go early and pick out your tree, but come later to cut it down. I will vouch for the trees – they are not all leaning south and they are not bald on the north side from the wind! The huge Eucalyptus wind breaks are still doing their job. 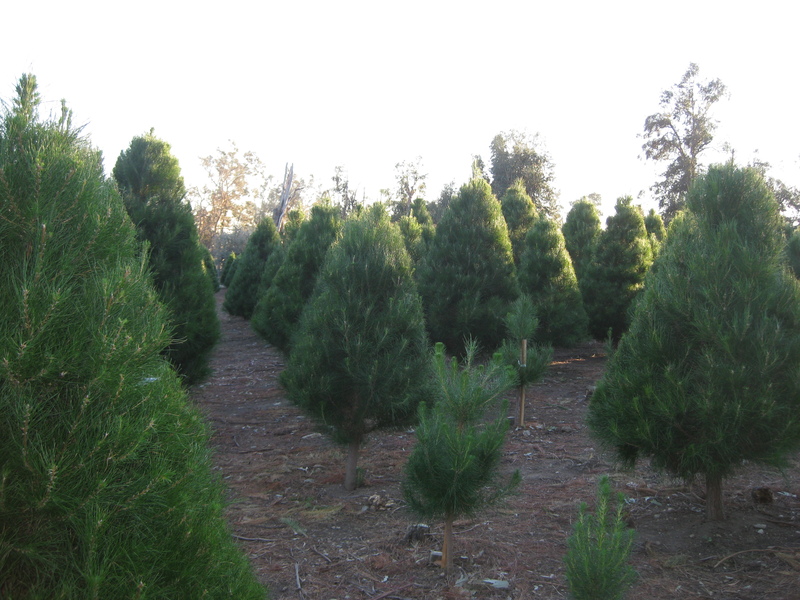 This was apparently the first Christmas Tree Farm in Southern California; it was originally planted in 1955. It was sold in 70’s to the Casazza family who run it now. They grow primarily Monterey Pine. Buying from a local farm is the most environmentally friendly way to go, if of course you don’t use the live tree in your yard each year. Don’t forget to have the green waste pick it up, for mulch and composting, after the holidays. Happy Holidays to all and hoping all a prosperous and healthy New Year!